← Is your IT architecture going in the right direction? 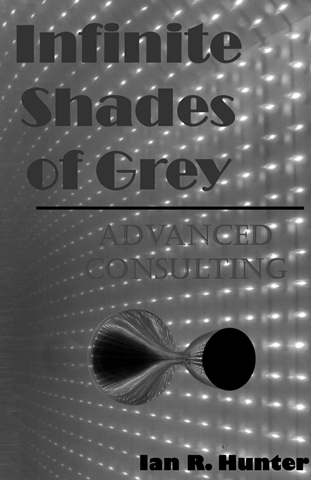 Infinite Shades of Grey is about advanced consulting skills. The point of the blog and book was to share tips and techniques that can make good technical consultants into great consultants. One of the key things I propose is a consulting process. With a process, you can evaluate how you did and make changes to improve. So it is time to apply that to the blog writing after 5 years of grey. The top 10 blog posts of all time of the 150+ I have made have generated over 50% of the total volume to the site and over 15,000 unique visitors. Let’s look at why that is the case. Introspection on my personal abilities and ability to be a good consultant. Is it for me? What these have in common is they all have a direct correlation to personal stress and emotions. What I would take from that, is the majority of people searching are looking for help because they have encountered a problem of their own. The next category is career and money. how rich can I get? Therefore clearly a second popular reason to search for answers is career and money. Lastly, there are industry pieces with a decidedly negative tone. Why a service is failing or the results of bad work creating failures. My only assumption after reviewing the search terms used is that people are looking to debunk certain trends. I know for certain that Enterprise Architects get a rough ride from their more technology-focused counterparts who believe EA’s mostly sell snake-oil to management. Unfortunately it is sometimes true and that doesn’t help the profession. The point however is that there seems to be a need (or market) for honest appraisals of things that don’t work as well as they should in the architecture industry. The fourth learning was that of the other 140+ posts that some of the posts I consider personally to be real gems of learning in advanced consulting skills have minimal popularity. An example of that is my post on influencing styles. The techniques contained in this post were some of the most important consulting skills I have ever learned in over 30 years in this business. I believe many consultants would benefit from learning and applying these skills. However, very few people ever searched for “how to influence”. In fact it was one of the least visited posts with fewer than 100 visits over 5 years. People search for things that are either causing them pain or have direct financial benefit. Convince them that core skills have a direct correlation to their financial future. Let’s see what the new focus brings!